Urban Cryptids: What are Urban Cryptids? This sign posted in a park in Springfield Missouri depicts a lightning-like creature with an angry face, electrocuting some hapless human being. 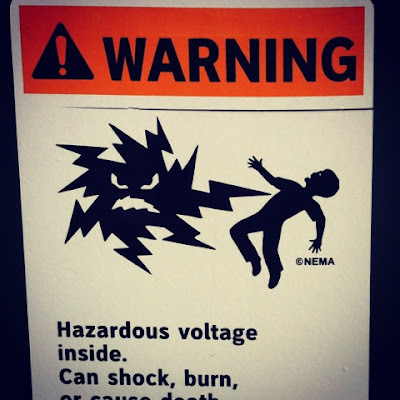 Of course, a rational individual would interpret this as a metaphor for some kind of mundane electrical risk, but the sign, taken literally, clearly shows some kind of creature whose existence is not recognized by scientific authorities. This kind of strange living creature whose existence is suggested but has not been proven is often referred to as a cryptid, and the study of such creatures is called Cryptozoology.